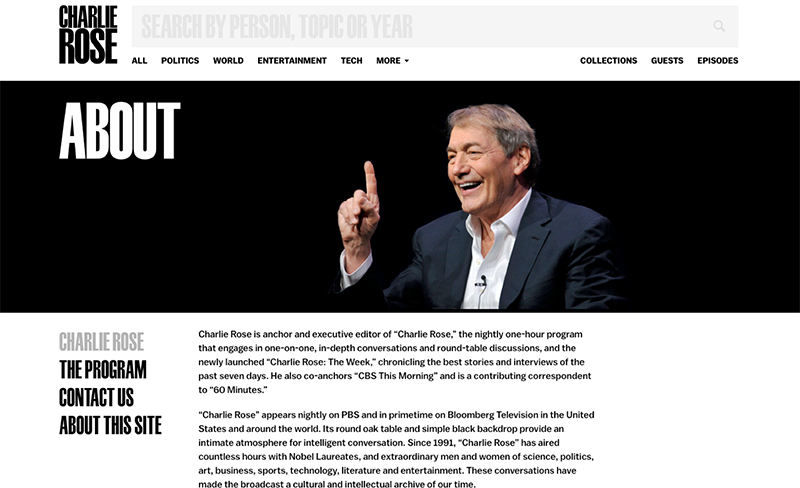 Wazee Digital, a cloud-based video management and licensing service, recently helped launch a new viewer-facing content portal for the “Charlie Rose” show that airs on PBS and Bloomberg. The site is driven by Wazee Digital Core, the company’s enterprise cloud platform. The Core platform allows the show’s staff to curate 25 years’ worth of programs while managing a large digital library of video, metadata and closed-captioning feeds. The site was designed and built by AREA 17 using Wazee Digital’s API to expose content and metadata.